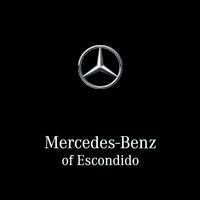 The service center at Mercedes-Benz of Escondido understands the high level of care a luxury machine deserves, so all essential maintenance work and repairs are handled by highly skilled and experienced Mercedes-Benz certified technicians. They’re trained to provide the best service possible, and they know each Mercedes-Benz model inside and out. Whether you’re in need of scheduled servicing or have a problem that needs solving, our Mercedes-Benz-authorized service center can be of assistance. Jobs covered include brake issues, battery issues, multi-point inspections, and even engine repairs. Mercedes-Benz vehicles are cut from a finer cloth than most models you’ll spot making their way around San Diego. That’s why we only use genuine Mercedes-Benz parts and accessories specifically made for your vehicle to guarantee long-lasting performance and a seamless fit. If you need to make a replacement or enhancement yourself, trust our parts department to bring in what you need. Visit Today to Take Advantage of Our Service Offers! Whether you want to schedule servicing or explore the latest special offers, the team at our Escondido showroom can help. Feel free to contact us today or visit the dealership near Escondido and San Marcos for any further advice or assistance.